Liz and Ryan had an intimate wedding ceremony right in their backyard. We just love capturing a couples first look right before the ceremony. Rustic Chic Wedding in one of the Maryland's oldest barns. Now, This is how you celebrate 10 years of marital bliss! Click above to see a wedding full of beautiful blue! 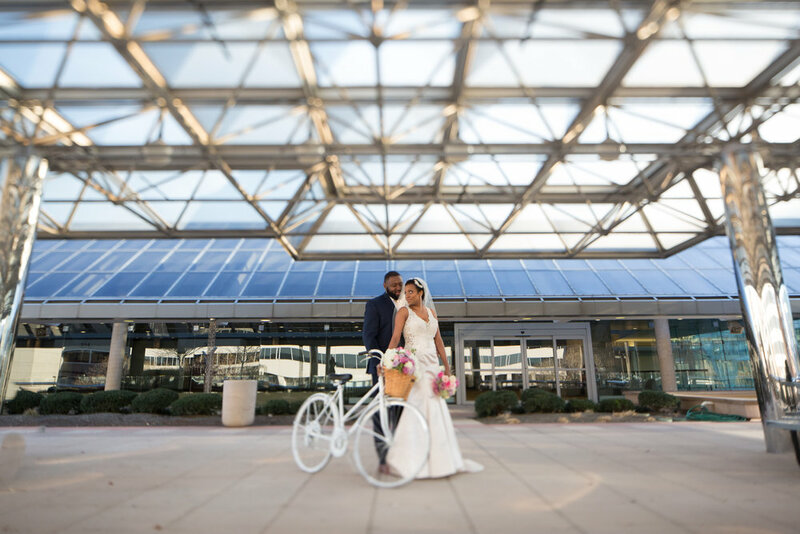 "The spirit of the season is encapsulated in the design elements, such as the pastel palette color theme, as well as the adorable bridal bicycle - incorporated into a "first look" scenario." This couple had a wedding that was uniquely theirs in. Ever wonder what our favorite wedding is?? Another Look at "The First Look". A Wedding with a magical twist. Still Searching for a Wedding Photographer? Check out this Duo! One of the sweetest gifts to give to a Bride. A Romantic Virginia Wedding with love, laughter and light painting. a True Baltimore Wedding by two people who met and fell in love within Charm City. What happens when you bring two different families from different parts of the world together?